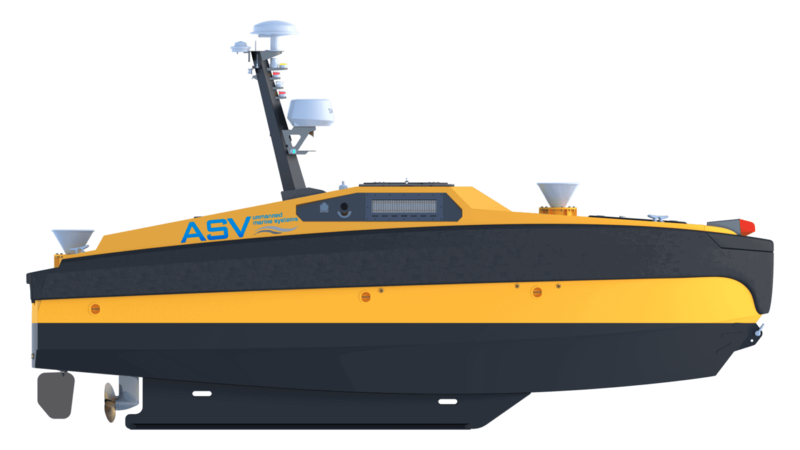 L3 ASV (previously ASV Global) is a designer, manufacturer and operator of high-performance, rugged autonomous marine vehicle systems for military, government and commercial sectors. 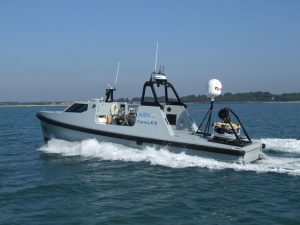 L3 ASV’s unmanned marine vehicle systems are used for a wide range of military and commercial applications. For military these include Mine Counter Measures (MCM), Intelligence, Surveillance and Reconnaissance (ISR), Anti-Submarine Warfare (ASW), and Fast Inshore Attack Craft (FIAC) for combat training. For commercial these include, Oil and Gas Exploration and Construction, Oceanographic Data Collection, Hydrographic, Oceanographic and Environmental Surveys. 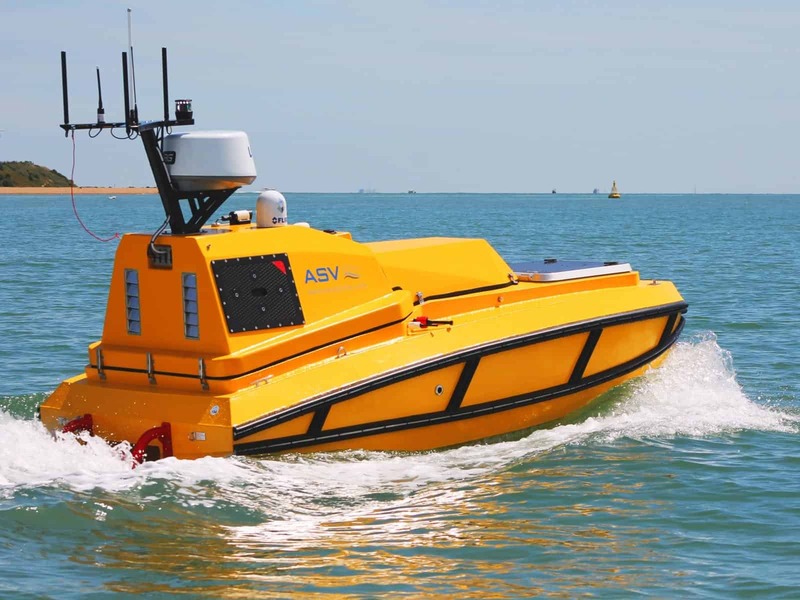 L3 ASV also provides a broad range of technical services relating to autonomous marine vehicles, from concept design through to production and training. The company has a full complement of highly experienced staff as well as links with leading universities and manufacturing facilities. 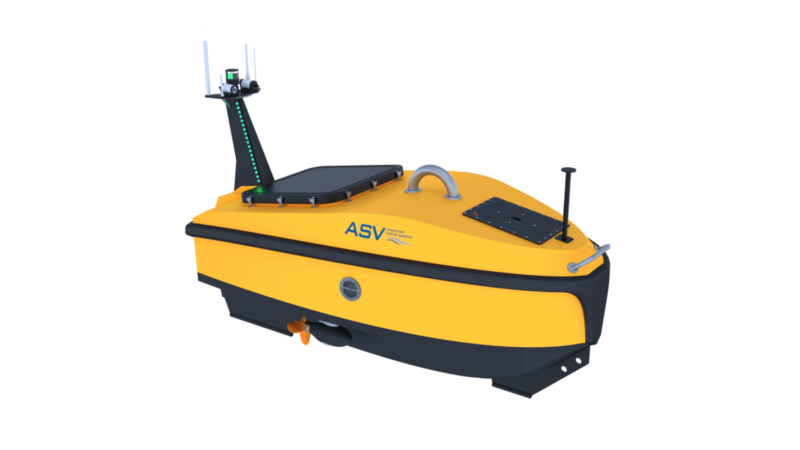 L3 ASV has specifically developed and refined its ASView system for safe and reliable control of autonomous surface vehicles and has incorporated industry-leading research in collision avoidance and safe over-the-horizon operation. The complete system is comprised of the ASView-Bridge graphical user interface, ASView-Helm remote controller, ASView-Base radio enclosure and ASView-Core vehicle system. ASView features direct remote control via ASView-Helm, assisted remote control, and a Mission Plan mode via ASView-Bridge UI that allows users to define lines, orbits and/or station keeping waypoints. It can be integrated into vessels with a wide variety of power generation and propulsion engines, motors and devices. 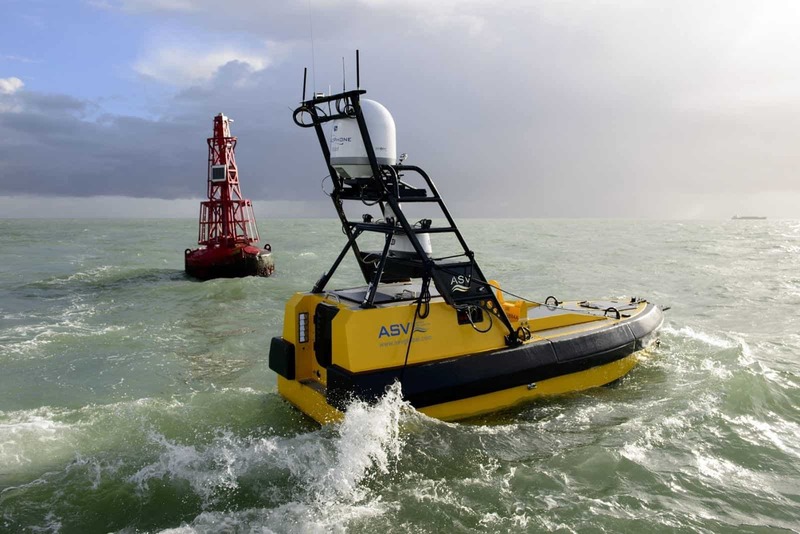 ASView supports a broad range of navigation sensors including GPS receivers, gyro stabilised and satellite compasses, inertial navigation systems, marine radar systems, AIS, electro optical and infrared cameras and depth sounders. The system is compatible with line of sight communications including UHF radio, mesh network radio or Wi-Fi, as well as the commercially available Iridium, Inmarsat or V-Sat satellite communications systems. The C-Stat mobile buoy system is a station keeping vessel for applications where anchoring may be difficult or the cost or practicalities of operating a manned vessel for continuous periods of time are prohibitive. 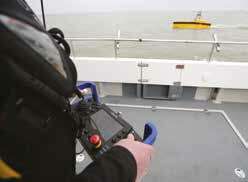 It is ideal for asset positioning, surface to underwater communications, and data collection. An autonomous control system with sophisticated station-keeping algorithms allows the C-Stat to maintain position, with programmable drift parameters. The buoy is powered by a hybrid diesel electric system, and can travel for up to 5 days with a top speed of 3.7 knots. 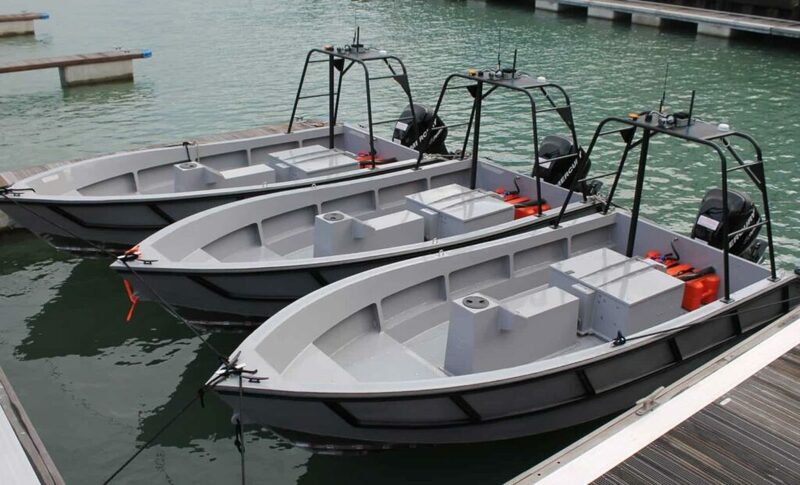 The C-CAT 3 is a multipurpose vessel developed for applications requiring a smaller craft, such as surveying, monitoring and other scientific research in littoral zones. 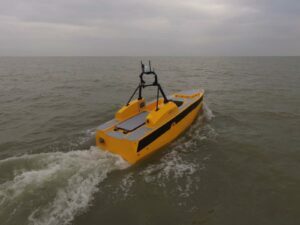 Its modular design and large payload bay allow it to be easily fitted with a wide variety of above and below water sensors and other payloads. The vessel is powered by twin electric motors and can achieve a top speed of 7 knots. It can be controlled manually or pre-programmed to follow specified routes that can be updated at any point during the mission via an intuitive PC-based GUI. The C-Enduro is a long endurance USV, ideal for any application where long-term remote data collection is required. Capable of enduring missions of up to 3 months in length, the vehicle’s power system can be tailored to suit different climatic conditions by using diesel or methanol power chain, and/or harvesting energy using wind turbines and solar panels. The hull features a rugged carbon-fibre construction with a self-righting design. A wide range of sensors can be fitted to the C-Enduro, including sonar, Electronic Warfare, wave measurement, and cameras. diesel or methanol power chain, and/or harvesting energy using wind turbines and solar panels. keel mounted sensors, CTD lowered by winch, meteorological sensors, ADCP, MBES, side-scan sonar, PAM, acoustic modem, ASW (towed array or dipping), electronic warfare. The C-Worker family of USV platforms offers solutions for a wide variety of offshore, inshore and coastal operations. All vessels in the C-Worker range can be controlled directly, semi-autonomously or with full autonomy, with the ability to select and update mission parameters via the intuitive ASView control software. C-Worker 4 is the smallest of the C-Worker USVs, with a diesel-powered waterjet propulsion system that makes it ideal for shallow water operations such as marine construction surveys and environmental data collection. With a repairable rugged aluminium hull and durable construction, C-Worker 5 is designed for surveying applications such as shipwrecks, cable laying and hydrography. 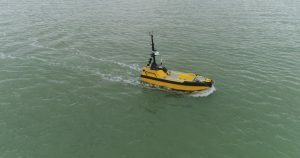 It features an endurance of up to 7 days at a top speed of 7 knots, allowing for increased survey efficiency with a minimum of launch and recovery requirements. C-Worker 6 is a multi-role work-class vessel that can handle a wide variety of operations, including surveying, environmental monitoring, data collection and surveillance. 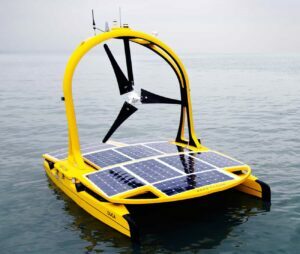 It can operate for up to 30 days at a cruising speed of 4 knots, and can be integrated with a range of standard or custom payloads, such as sonar, infrared, video cameras, and chemical detectors. 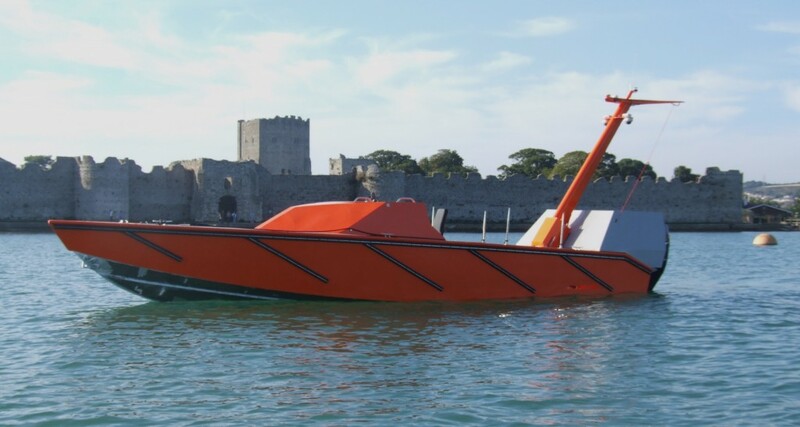 C-Worker 7 is a multi-role USV that features fully redundant power, propulsion and communication systems, and a large moon pool that measures 2.5m long x 1m wide. Its modular payload bay allows integration of multiple offshore payloads. Powered by twin 45hp diesel engines, C-Worker 8 is a rugged, versatile USV with a top speed of 10 knots and up to 7 days endurance. Interchangeable payload frames allow the vessel to be configured for a wide variety of missions, including surveying, environmental research, seismic support, and security. Endurance 7 days at 4 knots, 3 days at 8 knots. C-Sweep is a rugged, modular Unmanned Surface Vehicle capable of undertaking long-endurance minesweeping missions. It features a robust construction with either aluminium or composite hull, and is powered by twin diesel engines. 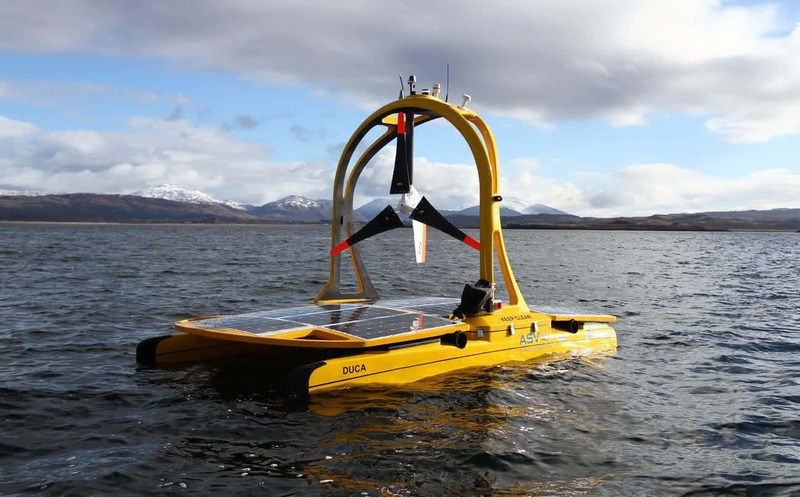 C-Sweep is capable of deploying secondary Autonomous Underwater Vehicles (AUVs) or Remote Operated Vehicles (ROVs), and can be fitted with a range of sensors. Options Sidescan, multi-beam, USBL, clip-on mine sweep or winch deployed systems electrical generator, AUV/ROV launcher. 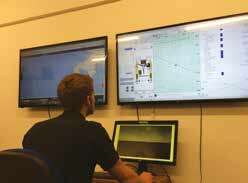 C-Target high-speed realistic target drones provide a way for naval personnel to train for scenarios involving Fast Inshore Attack Craft (FIAC), and are designed for gunnery training, weapons testing and ship command/control evaluation. All C-Target drones utilise ASV’s proprietary control architecture and can be deployed individually or as part of a swarm. The C-Target 3 is a lightweight and fast-moving target drone. With a rugged aluminium construction, the hull features an innovative 2-part design that allows the boat to separate into two pieces for ease of transport and storage. 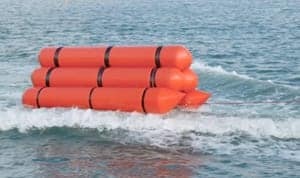 A lift hoop allows for easy deployment and recovery, and the outboard engine and electronics enclosure can be protected with ballistic panels. Options Single boat or multi-boat, visual, radar and thermal enhancements, real time video link and missed distance indicators (MDI). The C-Target 6 is a fast, powerful target drone that can be used either as a direct target or to tow inflatable targets. With a rugged aluminium hull, the C-Target 6 is capable of operating in conditions up to Sea State 4, allowing for training to take place in harsher weather. 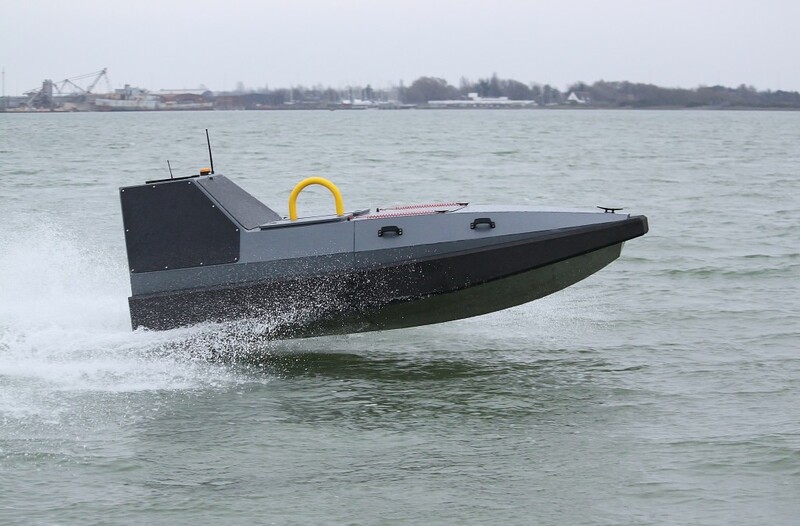 The C-Target 6 can be customised to resemble specific craft, and can also be configured for manned use (with the addition of an optional control panel) or as a low-cost Unmanned Surface Vehicle (with the addition of extra control functionality and camera systems). The C-Target 9 is a highly versatile target craft that can be operated remotely via a radio link, or manually with a console. It can be equipped with a broad range of optional capabilities, including radar, thermal sensors and visual systems. The C-Target 13 is a fast, highly realistic target drone. Propelled by twin 350hp engines and capable of a top speed of greater than 45 knots, it is the largest craft in the C-Target range. 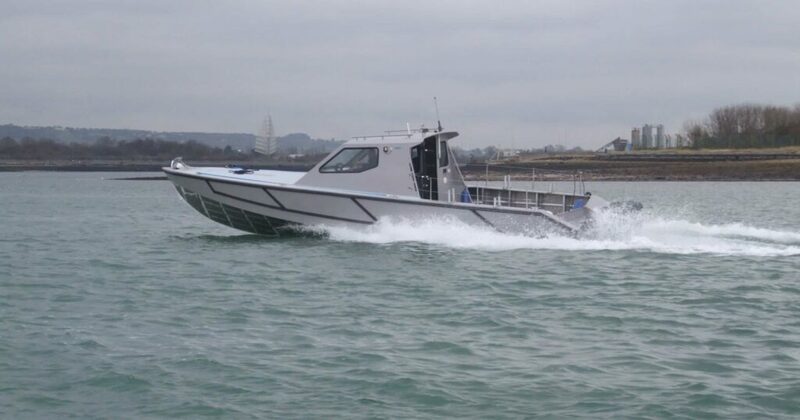 As with the other craft in the range, it features a rugged aluminium hull, manual or remote operation, and a range of optional radar, thermal and visual enhancements. ASV’s range of towed targets for gunnery training and weapons testing offers greater stability and functionality than traditional standard cylindrical targets. Constructed from PVC or Hypalon, the inflatable targets feature multiple repairable and replaceable chambers to allow for greater visibility and survivability. Non-inflatable targets are also available with an aluminium construction. All targets can be fitted with radar, thermal sensors, missed distance indicators and video camera systems. By submitting this form, you consent for your details to be sent to L3 ASV and its authorized partners in order to respond to your inquiry. Depending on the location of the organization, your personal information may be transferred and processed outside of the European Economic Area.